YouTube has become an open platform for many to produce creative content on the daily. Starting as a video sharing website, YouTube has now become a platform for people to create their own business, share their hobbies/talents, and so on. Famous YouTube stars such as PewDiePie and Jeffree Star have gained such a large audience that they end up making $15+ million on YouTube alone. YouTube holds endless possibilities for many, but it’s hard to always track down or find the right YouTube star to follow regularly that may fit your taste. We made a list of some YouTube stars that are SO worth watching. Toronto based YouTube star JusReign has been a well-known content creator for years on the famous video sharing site. 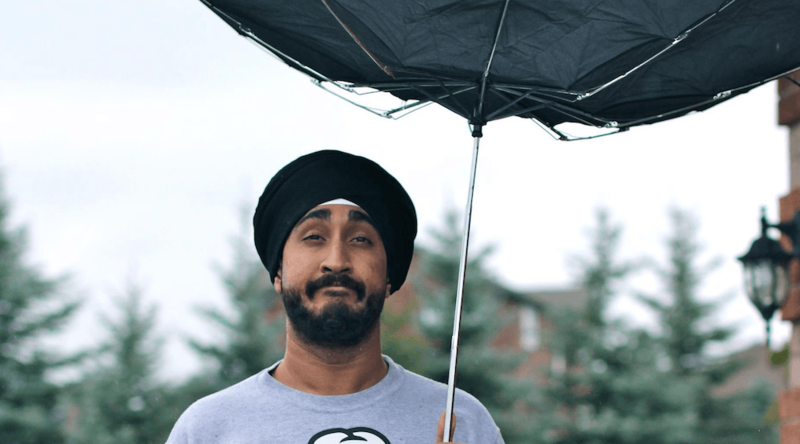 With hilarious videos, JusReign has found a way to connect with his audience through relatable content targeting mainly the South Asian community. He has teamed up with other famous YouTube/social media stars to better his content as well as spread his audience reach even further. Being South Asian myself, my friends and I loved watching his videos growing up especially knowing he was a visible minority. IISuperwomanII aka Lilly Singh has taken her YouTube content to a whole other level. Starting off making videos in her home back in Scarborough, Ontario, to now becoming the only female late night show host on television, she has taken big steps in her career! She has pushed her agenda of women empowerment, sexuality, as well as love when revealing her bi-sexuality recently. Her humble personality has created connections with many celebrities as well as catching the attention of big brand names such as Vogue. This Hawaii based makeup artist has caught the attention of many through not only his fierce makeup looks, but also his hilarious, blunt personality. The difference between Bretman and other makeup artists all root down to his content. Not only does Bretman publicize makeup tutorials/looks, he also posts videos showcasing his personal life, family, and so forth. I guarantee he us definitely worth the watch. Nikit Dragun has become a YouTube icon as well as a role model as a public transgender makeup guru. With fierce looks on YouTube and social media, to heartfelt videos revolving around her transition, Nikita has no filter on her life and what she shares to the world! Her content holds quite the weight with relativity as well as hope for other POC Transgender individuals out there. These YouTube stars are filled with humerus and personable content that will you make you wanting more. Whether you need a good laugh or some life tips, these YouTube stars have exactly what you need. This entry was posted in Entertainment and tagged BC, bretman rock, Canada, funny, jusreign, LA, Laugh, lilly singh, makeup, stars, states, superwoman, Toronto, usa, Vancouver, video, Youtube by Mehak Munir. Bookmark the permalink.